The twang at the beginning, however, also kind of sounds like the beginning of the 90s-hit song “Loser,” something that U2’s most recent tour mate, Beck, must have noticed at some point in the seven days they played together last year. (The riff was actually plucked from the middle of a Haim song called “My Song 5,” which accounts for why U2 invited the band on background vocals.) In an official remix of the song that was originally released in a limited run on Record Store Day last month, Beck notices this but doesn’t feel very nostalgic about it. He instead barrels ahead himself, flattening the song’s second half into the kind of bouncy sonic echo that has defined his best work of late (Modern Guilt, Colors). This is a serious improvement. 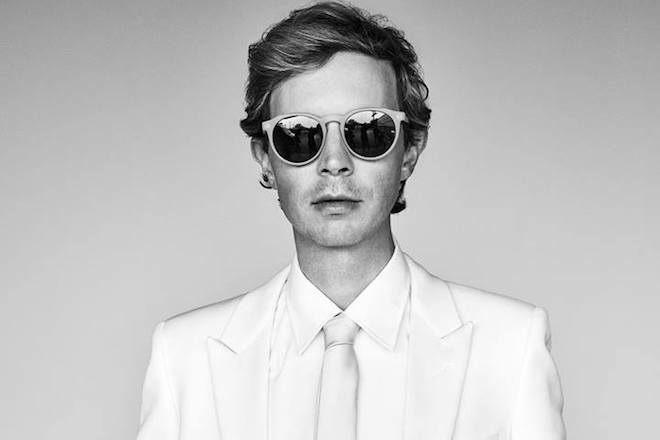 Where Bono & co. want seriousness but also chase the fantasy of nonexistent modern rock radio, Beck pursues a vision of his sound that can accommodate solemnity.